Spend a few days on a working cocoa plantation exploring the lush rainforest and iconic Pitons of Saint Lucia's south before heading to the north coast to relax on the beach. 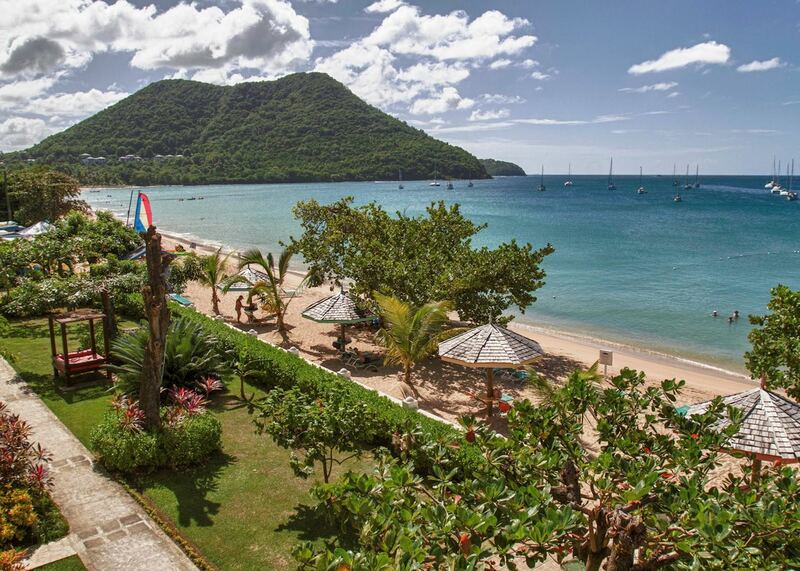 Locally owned and lovingly cared for, Bay Gardens Beach Resort is set in a series of low-rise plantation-style buildings on Reduit Beach, one of Saint Lucia's most popular. 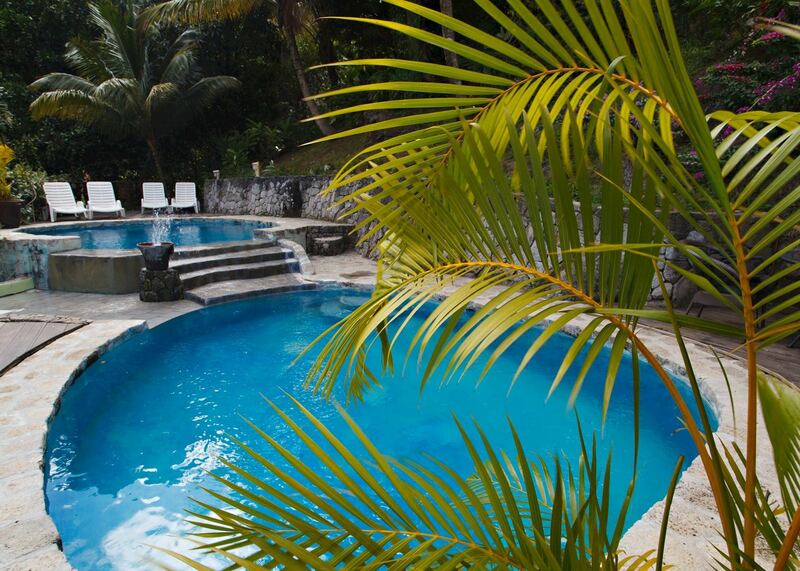 Its relaxed Caribbean charm and great value ensures it sees plenty of return guests. Just a short walk from lively Rodney Bay and with plenty of life around Reduit Beach’s long stretch of golden sand, Bay Gardens is a great base for active pursuits and sampling the local restaurants and nightlife. 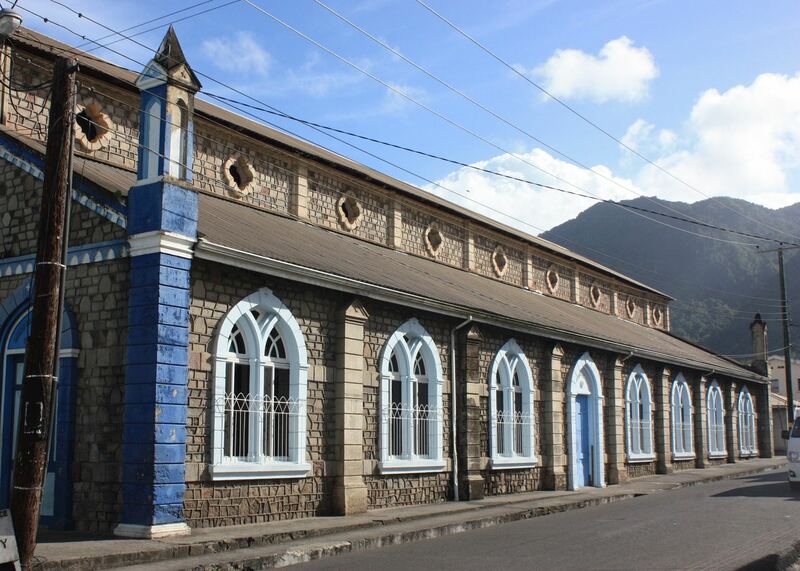 The colourful exteriors and plantation styled buildings are a lovely echo of Saint Lucia’s past and traditions and although relatively small and compact, Bay Gardens has plenty of modern facilities including a pool, complimentary sailing, paddle boarding and kayaking. Scuba diving, waterskiing and wakeboarding are also available. Just off the beach, an inflatable water park is great fun for families. 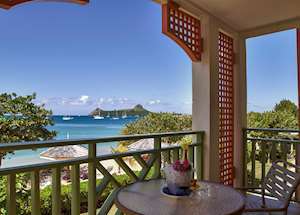 Enjoy a spa treatment in a beachside gazebo, play a round of golf, or visit nearby Martinique or historic Pigeon Island. 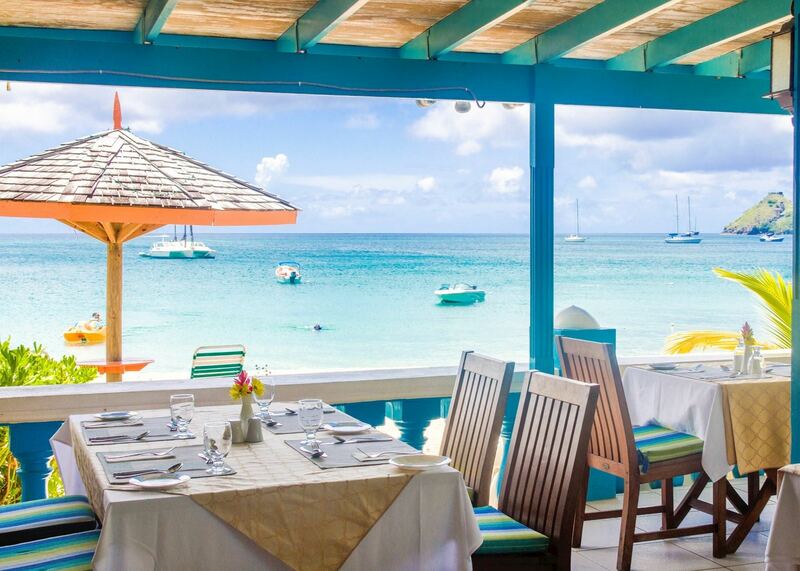 Bay Gardens also offers a choice of dining options, with beachfront meals at Hi-Tide Beachside Restaurant and Sea Grapes Restaurant offering a choice of Caribbean and European cuisine. Simple but spacious, the 78 rooms are well cared for and all have a balcony or patio. Choose pool or beach views, or opt for one of a number of self-catering suites if travelling as a family. 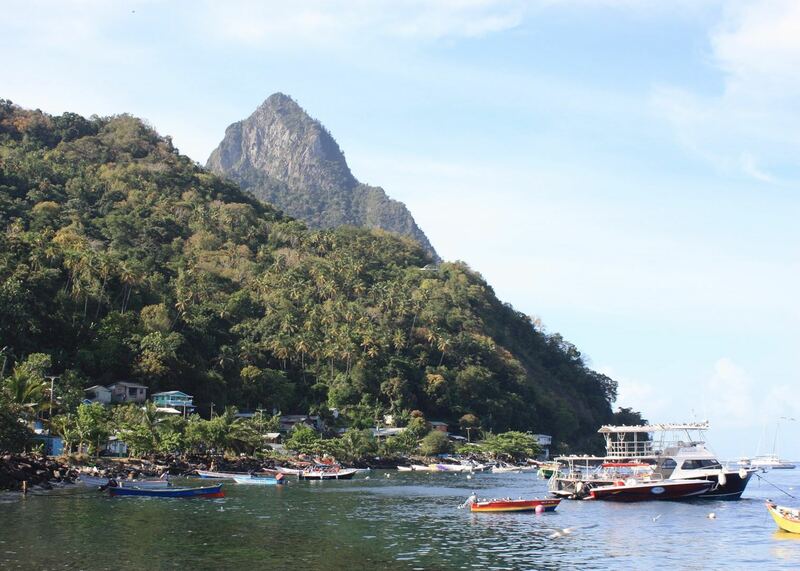 Head south to explore Saint Lucia's Pitons, a prestigious UNESCO World Heritage Site dominated by two volcanic spires that rise dramatically out of the sea. Home to Sulphur Springs Park, a drive-in extinct volcano, and excellent hiking, it is a fascinating area to explore. You can climb the Pitons for breathtaking views, visit historic Soufrière village, and enjoy the wonderful botanic gardens and healing hot springs at Diamond Falls, a beautiful waterfall coloured by mineral deposits. Offshore, you'll find the island's best dives sites teeming with marine life. 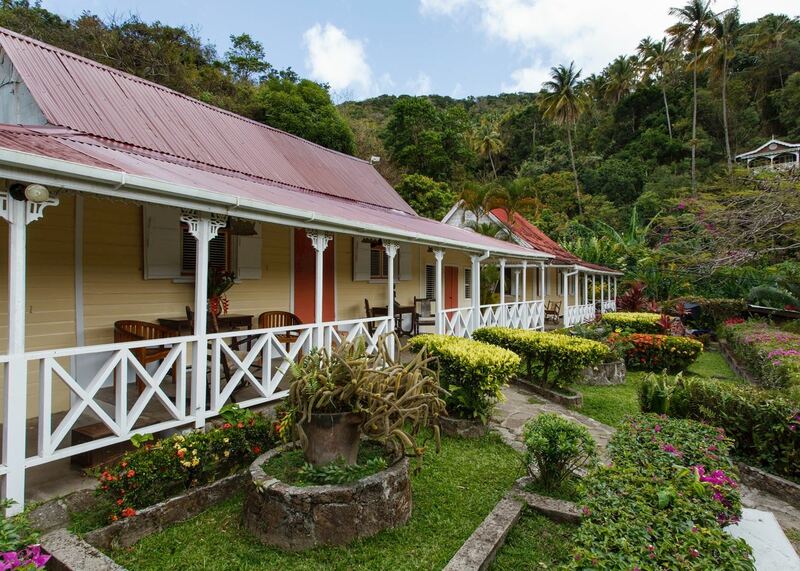 Set on a 250-year-old working cocoa estate, surrounded by lush rainforest, Fond Doux offers a charmingly rustic and authentic Saint Lucian experience. 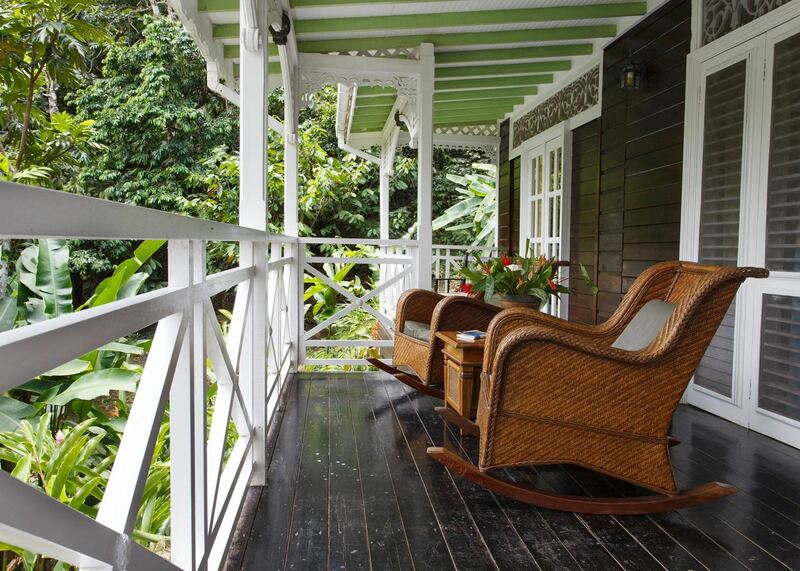 Its 15 plantation-style cottages nestle on the hillside amongst the dense vegetation. 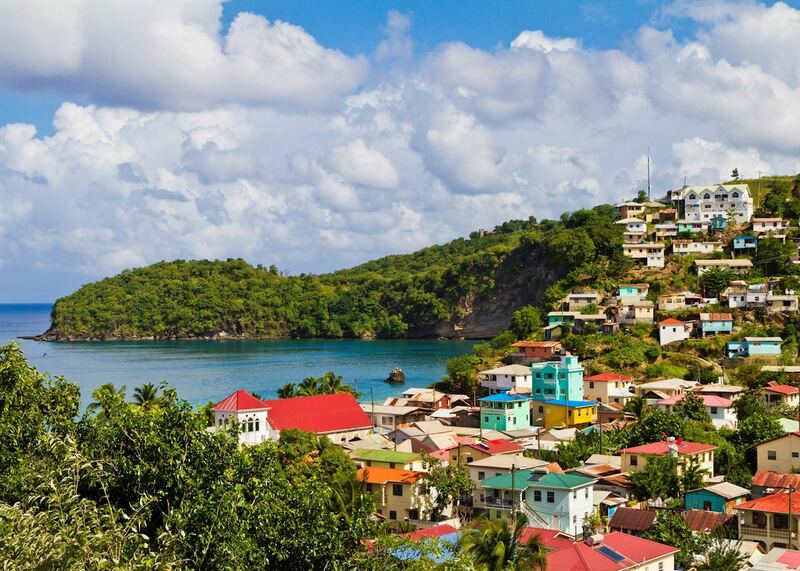 Locally owned and cared for by a Saint Lucian family, Bay Gardens is a great value option that sits on one of the island’s most popular beaches. A short walk from the lively restaurants and bars of Rodney Bay, the resort opens out onto a long stretch of honey-hued sand that shelves gently into the aquamarine Caribbean Sea. The 78 rooms are scattered across tropical gardens, in a series of low-rise blocks that echo the Caribbean plantation style and which are all a short walk from the sand. Although a relatively compact resort, there’s a range of facilities from sailing and kayaking. Many activities are family-focused including an inflatable waterpark moored out in the sea. Children of all ages are very welcome and the hotel has a children's playground and indoor playroom. The extensive kids' programme, the Coral Kidz Club, arranges nature walks, crab hunts and beach games for children aged 4-12 years. The One Bedroom Suites are particularly suitable for families given their extra space and kitchen facilities. Babysitting services are also available. 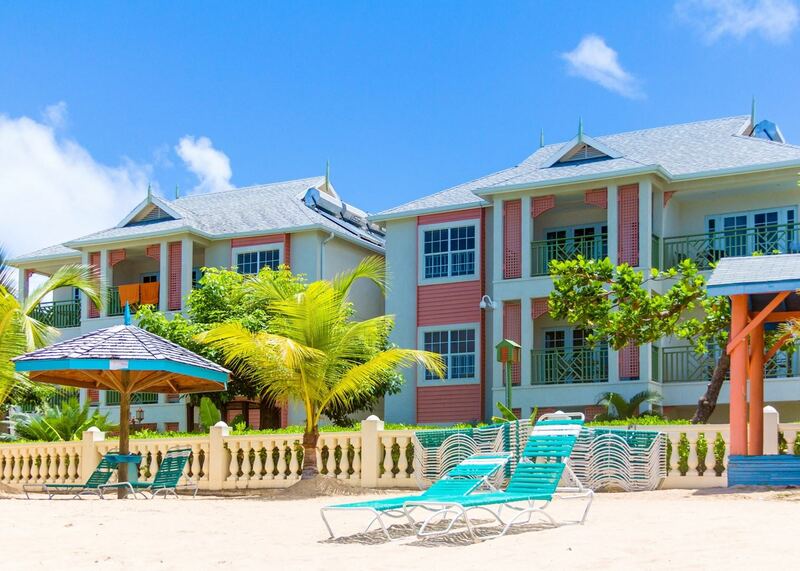 Bay Gardens Beach Resort has a prime beachfront location at the end of Reduit Beach, a long stretch of golden sand in the north of the island. As you would expect, such a great beach is not a secret and there are other hotels lining the beach, giving guests access to plenty of choice of bars and restaurants. Rodney Bay, a few minutes’ walk from the hotel has numerous bars and restaurants serving Caribbean, Indian and Chinese food. Rodney Bay Marina is close by, as is a supermarket and a duty-free shopping mall. 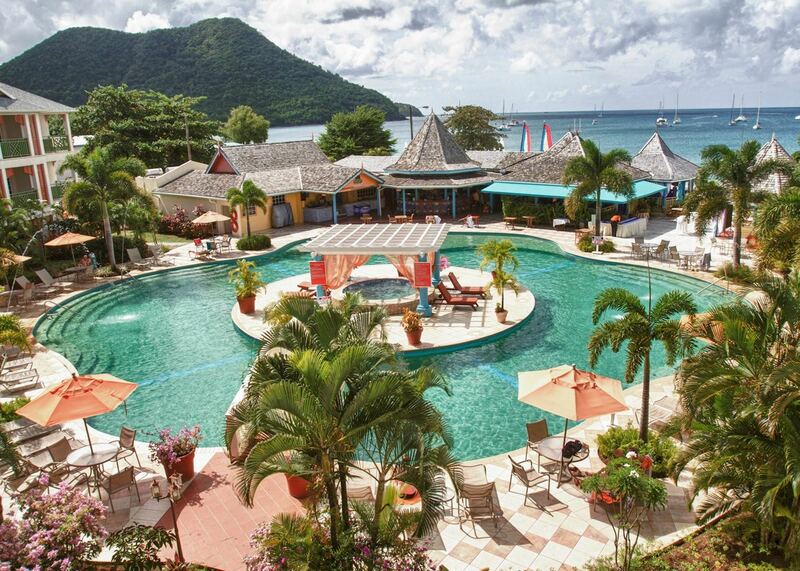 Set on one of Saint Lucia’s best beaches, Bay Gardens’ location is one of its key attractions. Set close to a multitude of bars and restaurants yet at the quieter end of the beach, this great value hotel is well looked after. Care has been taken in the style and layout of the resort from the small but pretty beachfront gardens to arrangements of local flowers in the lobby. While the hotel restaurant is fine for a simple breakfast, we've found that the restaurant doesn't measure up to our other hotels but with such a wide choice of restaurants in the area we usually recommend dining out. The hotel sometimes allows cruise passengers passes to use the hotel's facilities but this is usually capped to about five passes a day to avoid impacting hotel guests. Just 78 rooms occupy the low-rise buildings which are arranged along the beachfront and in a horseshoe shape around the lagoon-shaped pool. 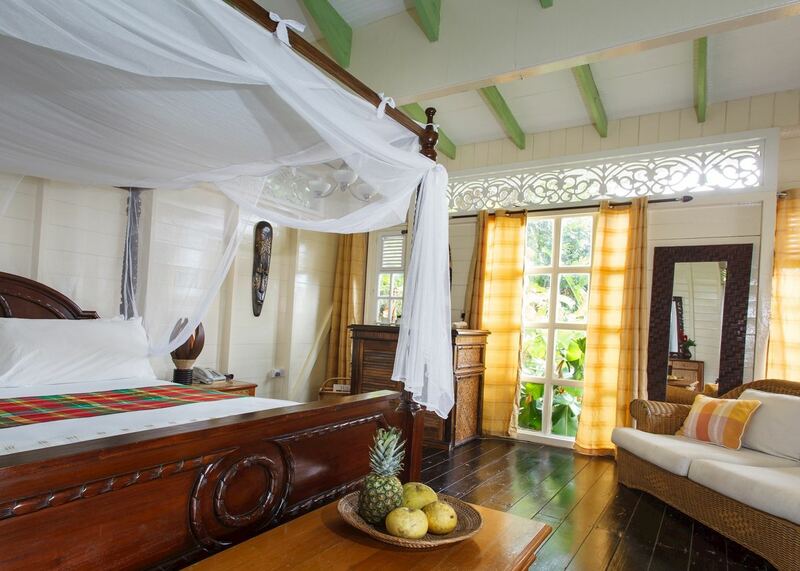 Rooms are simply decorated with bright fabrics, tiled floors and tropical flowers. All have air-conditioning, a ceiling fan, fridge and balcony or patio. Offering spacious accommodation with king or two queen size beds. These rooms are closer to the lobby with views of the tropical gardens. These rooms are on the ground floor in the middle of the property and are situated around the lagoon-shaped pool. They feature a private patio or balcony which looks out over the pool. Directly in front of the beach, these rooms are perfectly situated to enjoy the gorgeous sunsets from your balcony or patio. Offering a separate living area with an additional sofa bed, these are ideal for families or for those couples who appreciate more space. They also come with a full kitchen and a dining area. The One Bedroom Beachfront Suite feature a separate bedroom and a living room with full kitchen and dining area. The beachfront location allows for beautiful sea views. Interconnected with a deluxe room and a one bedroom suite, the two bedroom suites provide ample space for large families and groups, as they sleep up to six people. The two bedroom beach front suites offer plenty of space and are made up of an interconnecting deluxe room and one bedroom suite, set right on the beachfront. The hotel has a lagoon-shaped pool, a fitness room and offers complimentary non-motorised water sports including sailing, paddle boarding and kayaking. Scuba diving, waterskiing, wakeboarding and tubing are available at an additional cost. The sea tends to be calm and ideal for swimming, although if you’d like to snorkel, it’s best to join a boat to nearby Pigeon Island. You also have complimentary access to Splash Island Water Park, a huge, inflatable series of slides and obstacles moored a short distance into the sea. There’s a daily activities programme which include aqua aerobics, beach volleyball and Caribbean dance classes. You can also join yoga or Pilates classes. There isn’t a dive centre at the hotel but they can organise your diving through a local operator who can cater for complete beginners to more advanced divers. They also offer night dives and photography-specific courses. Hi-Tide Beachside Restaurant is open for casual beachfront dining, serving Caribbean and international dishes and is open all day. A second restaurant, SeaGrapes Beach Bar & Restaurant is open for dinner three times a week. Whilst the hotel offers half board and all-inclusive options, we recommend staying on a bed-and-breakfast basis so you can try some of the surrounding restaurants and cafes. We love Tapas on the Bay in Rodney Bay Village which serves Caribbean and Spanish dishes in an elegant, sea-front setting. A range of spa treatments are available at Le Mer Spa and can be taken in one of the small treatment rooms or in the beachside gazebo. 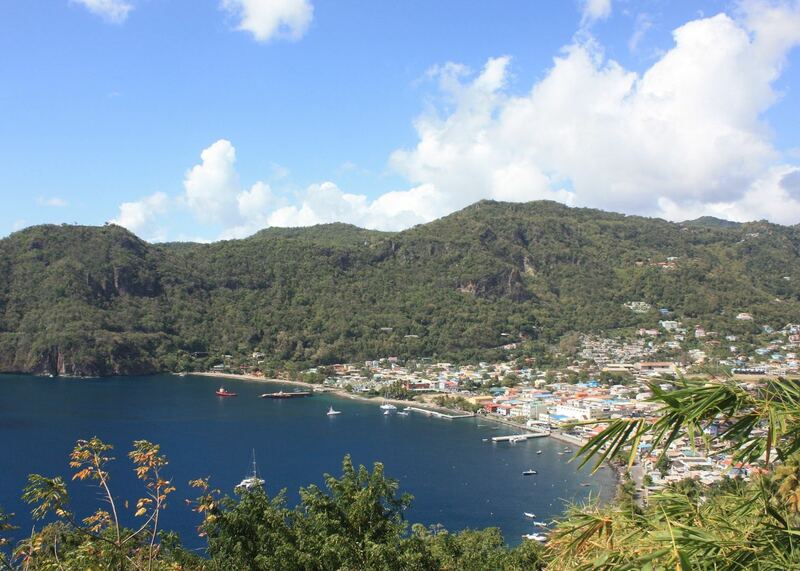 Saint Lucia is an intriguing blend of cultures originating from the island’s first Amerinidian inhabitants as well as French and British colonists who bought African slaves to the island during the slave trade. Although English is the main language, most islanders still speak Kweyol, similar to French. 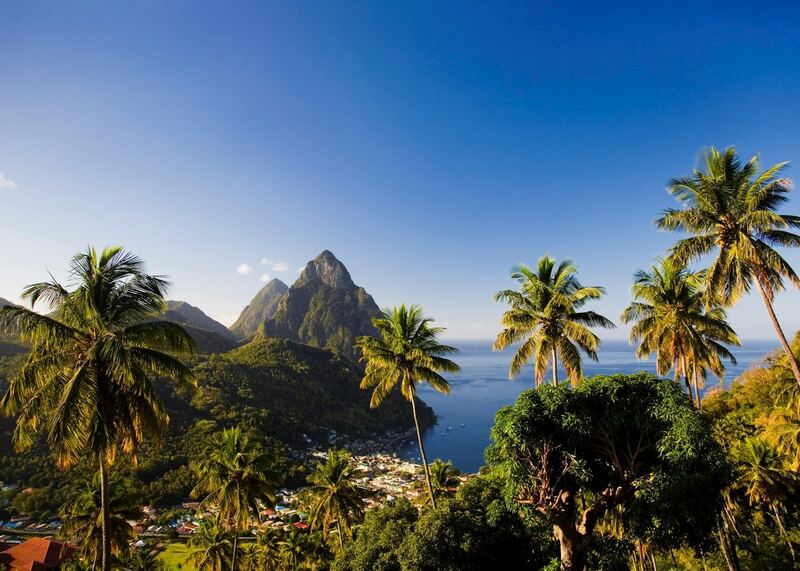 The southwest coast, characterised by silvery-black volcanic sands and steep hills blanketed in rainforest, is also where you’ll find Saint Lucia’s second city, Soufrière, and the twin Piton mountains, the island’s most iconic natural wonder. The coastline in this part of the island is punctuated by hidden coves and colourful reefs that offer incredible snorkeling and diving, while the wilder Atlantic coast to the east has barely been touched by tourism. 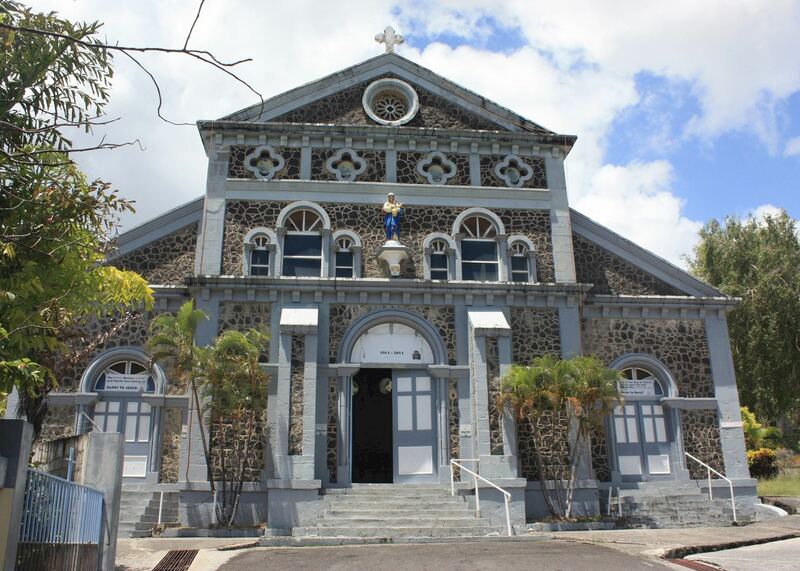 The northwest is home to the charming capital, Castries, along with the majority of the resorts. The beaches in this part of the island tend towards the Caribbean idyll of sweeping golden beaches and swaying palms, and nightlife centres around the characterful restaurants and buzzing bars of Rodney Bay Village. The mountainous interior is still home to many banana and cocoa plantations, once the mainstay of the island’s economy, and it’s also ideal terrain for hiking, climbing, birdwatching or ziplining through the jungle canopy. It’s not all about high octane adventure though; Saint Lucia is also one of the most romantic destinations in the Caribbean, equally suited to relaxation and luxurious indulgence. 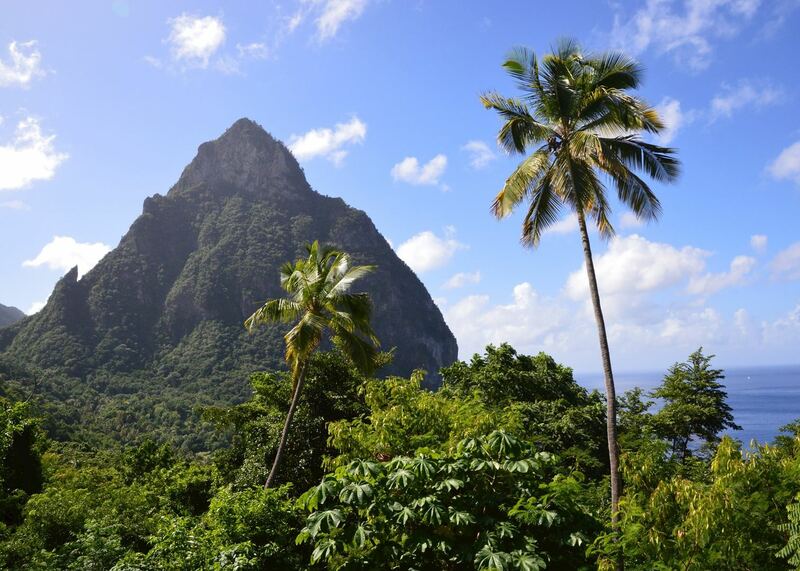 Tucked amidst a 250-year-old working cocoa plantation, Found Doux is a simple, family-run hotel close to Saint Lucia’s twin pitons. 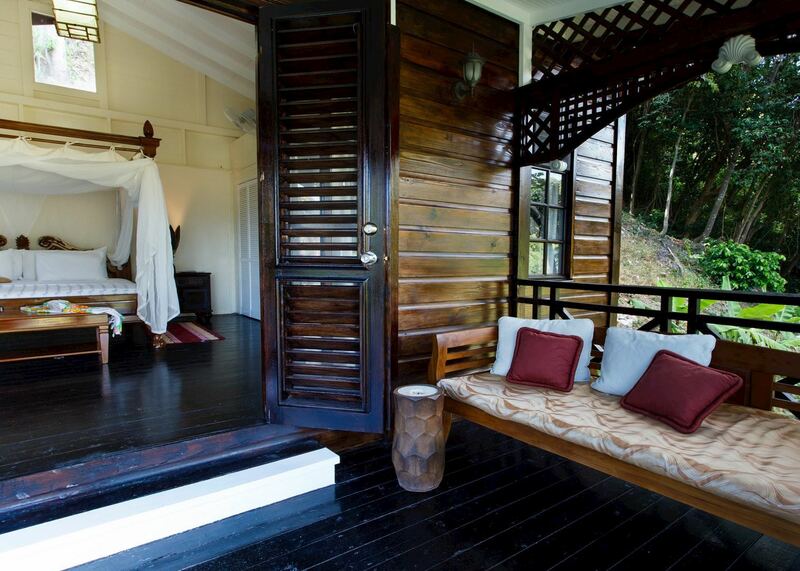 Surrounded by thick rainforest it’s world’s away from Saint Lucia’s beach resorts, offering a peaceful, secluded escape. The 15 cottages here are a great base from which to explore the rugged south of the island which is defined by dramatic volcanic scenery, an array of birdlife and deep-green forest. Nature trails run right through the estate and there’s a real effort to support the environment; guests are encouraged to plant a tree to commemorate their stay. 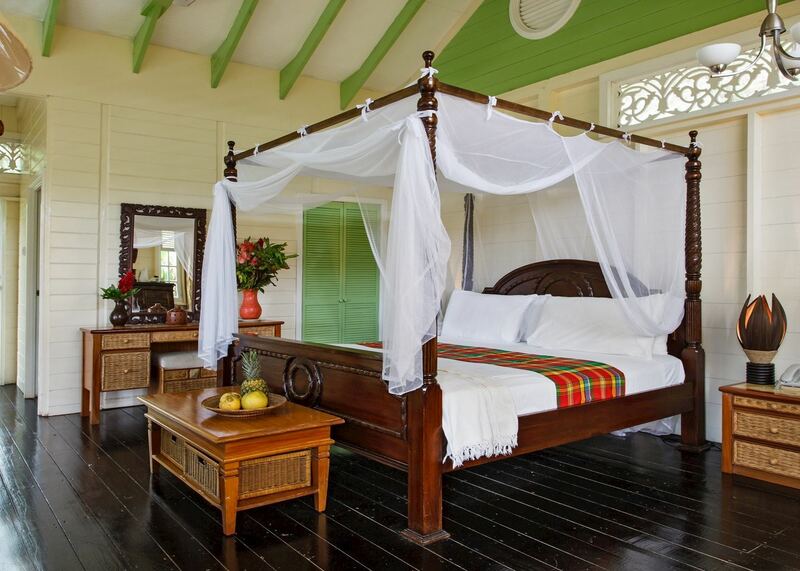 Fond Doux Plantation has a rustic, traditional charm with local staff and a focus on Saint Lucian culture — many of the furnishings are locally made. 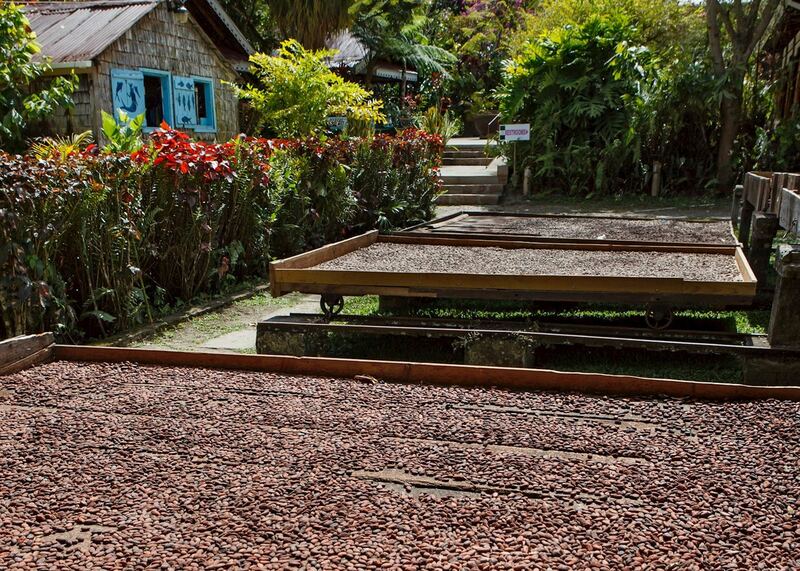 A great way to experience Saint Lucia’s heritage and natural beauty, they offer a selection of experiences to encourage you to explore the local surroundings, and find out more about traditional chocolate making techniques. 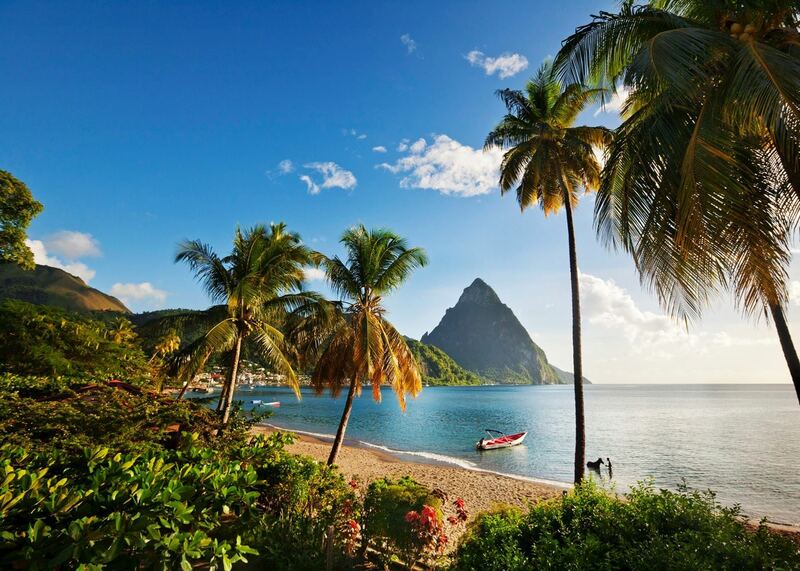 Board your plane for the flight to Saint Lucia. On your arrival in Saint Lucia you will be met by our representative and escorted to your driver. 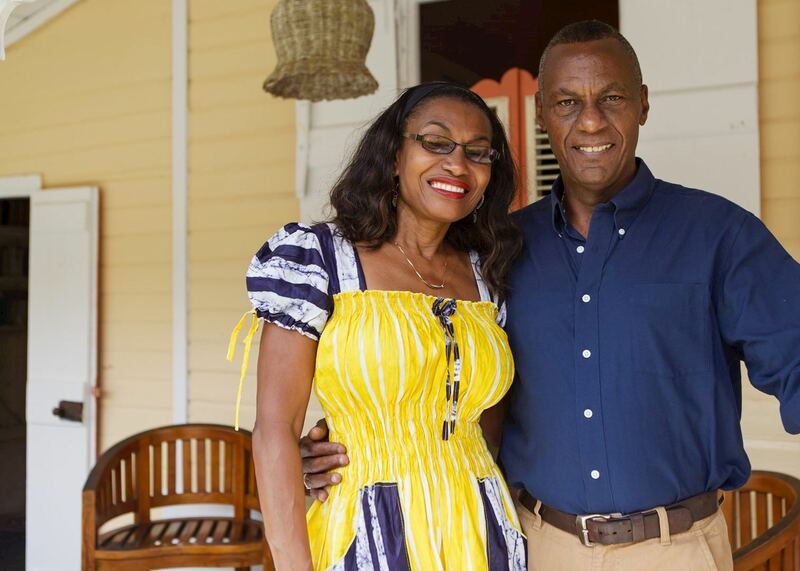 The private transfer to Fond Doux Plantation and Resort will take approximately 45 minutes, winding along the coast and through small villages and towns into the rainforest. Today is at leisure to explore the beautiful surroundings of this World Heritage areas as you wish. Surrounded by lush rainforest and within striking distance of the dramatic, volcanic spires of the Pitons, Fond Doux is well placed to explore the south. 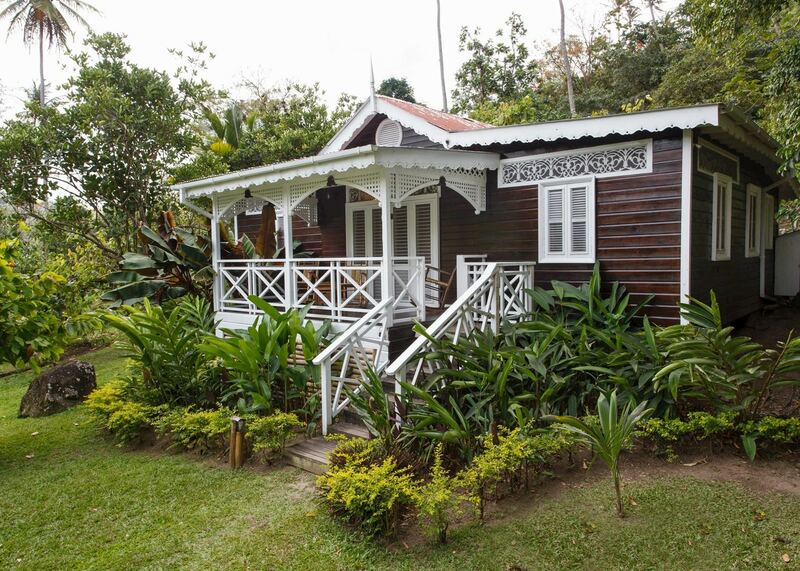 Fond Doux is a historic plantation and they offer complimentary tours where you will find out about the history and the chocolate making process. Nature trails weave through the estate or if you'd like to venture further afield, take a guided hike along the nearby Tet Paul Trail. 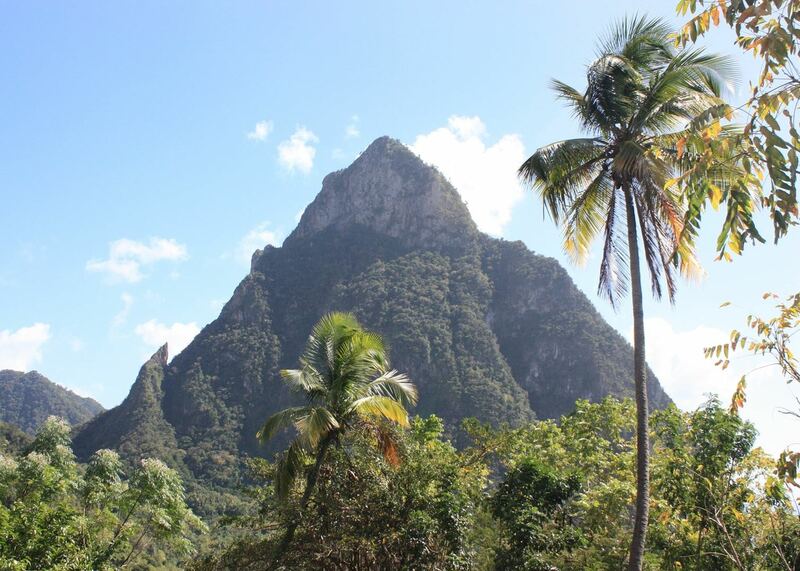 On your second day at leisure, you might like to climb Gros Piton for incredible views or take an easier hike through the rainforest. Today you will have a private transfer to Bay Gardens Beach Resort on the north coast. This will take approximately 1 hour 40 minutes. As you travel north you will see the island change from lush, secluded rainforest to a busier, livelier atmosphere with beautiful beaches. Bay Gardens Beach Resort is set on one of the island's best beaches within easy reach of a good range of shops, restaurants and bars. It is also well placed to explore the attractions of the north. Today you might like to explore Pigeon Island, a living museum with a number of interesting historic sights as well as two beautiful beaches and panoramic views. There's a choice of watersports at the hotel to keep you busy today as well as a daily activities programme and kids club. A number of land, sea and air excursions can be arranged, perhaps a sunset cruise this evening, setting sail from Rodney Bay? If you are here on a Friday, don't miss the regular Fish Fry, a bustling street party with fresh seafood, music and rum punch. Today you will have a private transfer to the airport back in the south of the island which will take approximately 1 hour 45 minutes. Board your plane for the flight home.